Being caught in a heavy rain or snow storm while driving in a vehicle with worn wiper blades can be a perilous experience. To avoid any dangerous situations on the road, driver’s visibility mustn’t be limited in no circumstances. That’s why you need ICON wiper blades with their advanced OE beam technology. Those long-lasting parts ensure thorough and safe cleaning of your windshield due to the exclusive fx dual rubber compound that resists heat and ozone deterioration, remaining flexible even in the worst weather conditions. To provide smooth and quiet operation, the manufacturer engineered the blades with a unique Quiet Glide™ micro-finish wiping edge. One of the key features of the ICON is their bracketless construction that offers both design and performance improvements. As for the latter, more uniform pressure is distributing along the entire length of the blade, providing windshield-hugging performance. For the same purpose, wipers are equipped with an asymmetrical aerodynamic wind spoiler. It creates downforce that prevents blade lift-off and guarantees flawless functioning even at high speeds. 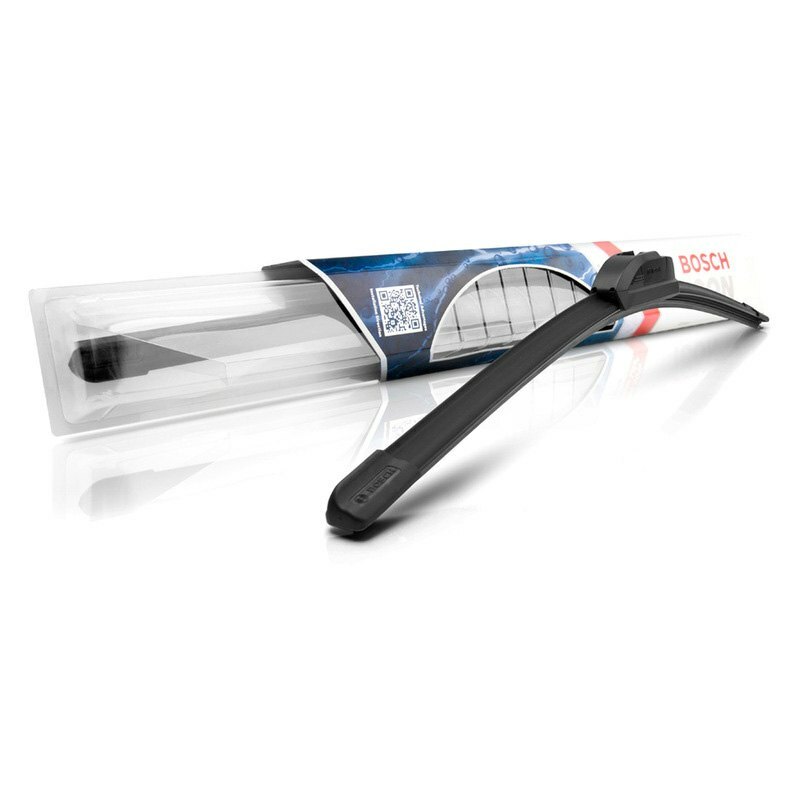 To allow for a precision fit, Bosch ICON wiper blades feature an exclusive tension spring arcing technology. It ensures a fit that’s custom-contoured to the curvature of each side of the windshield. One more advantage of the product is a pre-installed weather shield connector system that protects arm connection from snow and ice build-up. The installation process wasn’t overlooked by the manufacturer either. Each wiper blade is designed with the do-it-yourself installation in mind, so it won’t take much time. Install Bosch ICON wiper blades and enjoy a thorough wipe with up to 40% longer service-life than other premium blades.